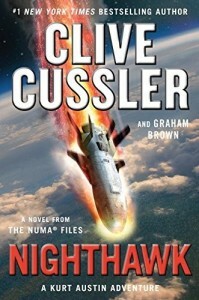 When the most advanced aircraft ever designed vanishes over the South Pacific, Kurt Austin and Joe Zavala are drawn into a deadly contest to locate the fallen machine. Russia and China covet the radical technology, but the United States worries about a darker problem. They know what others don't-that the X-37 is carrying a dangerous secret, a payload of exotic matter, extracted from the upper reaches of the atmosphere and stored at a temperature near absolute zero. As long as it remains frozen, the cargo is inert, but if it thaws, it will unleash a catastrophe of nearly unthinkable proportions. 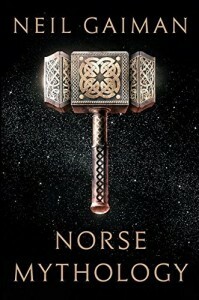 Introducing an instant classic?master storyteller Neil Gaiman presents a dazzling version of the great Norse myths. Gaiman fashions these primeval stories into a novelistic arc that begins with the genesis of the legendary nine worlds and delves into the exploits of deities, dwarfs, and giants. Once, when Thor's hammer is stolen, Thor must disguise himself as a woman?difficult with his beard and huge appetite?to steal it back. More poignant is the tale in which the blood of Kvasir?the most sagacious of gods?is turned into a mead that infuses drinkers with poetry. The work culminates in Ragnarok, the twilight of the gods and rebirth of a new time and people.